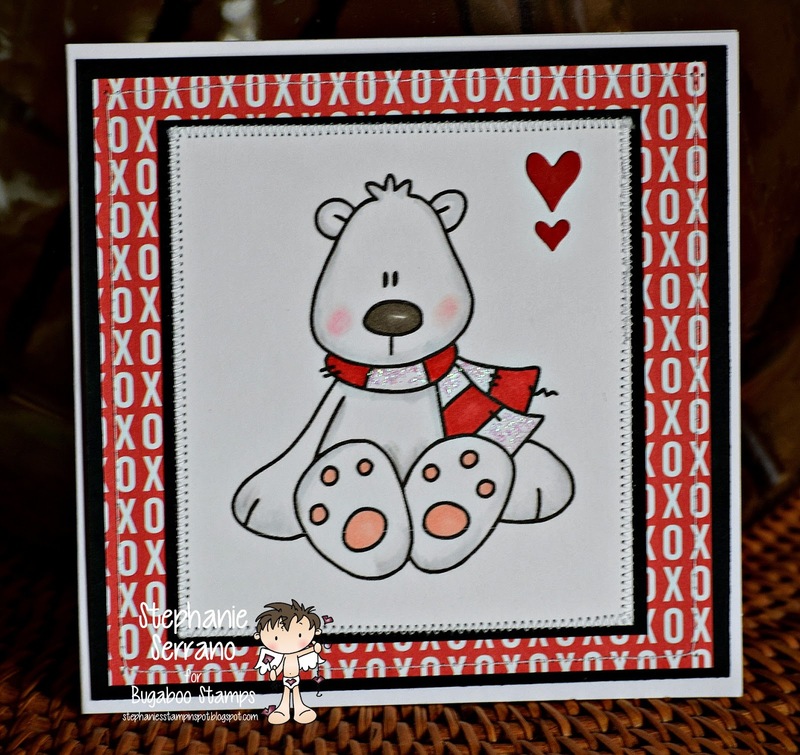 I know, I know, it's a polar bear and it should be Christmasy, well I am tired of Christmas so I decided to do Valentines Day! 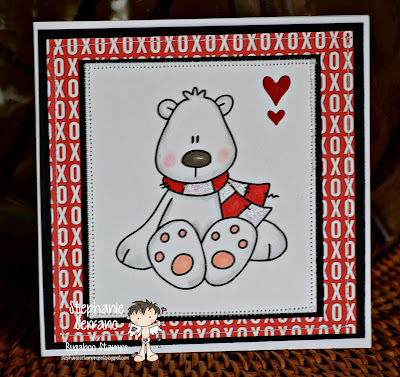 This is this weeks freebie at Bug-A-Boo stamps and I think he makes the perfect Valentine's Day Card! I colored with copics and the paper is from Paper Studios. Head on over to the Bug-A-Boo Stamps store and grab him. You can check out what the other DT members did at the Catch The Bug Blog. The Design Team is taking a break now so we will see you after the Holidays!!! Love the red and white. Have a Merry Christmas.